I’ve been sharing about different yoga ideas over the past few weeks. My kids have been going crazy over themed yoga. This week I’m stepping away from the animal yoga, and going to the circus. The circus still has animals of course! It wasn’t until last year that I really went to “the circus.” We visited Ringling in Sarasota, Florida. It was really cool! I can see why the circus is so popular among kids and a popular theme with educators. 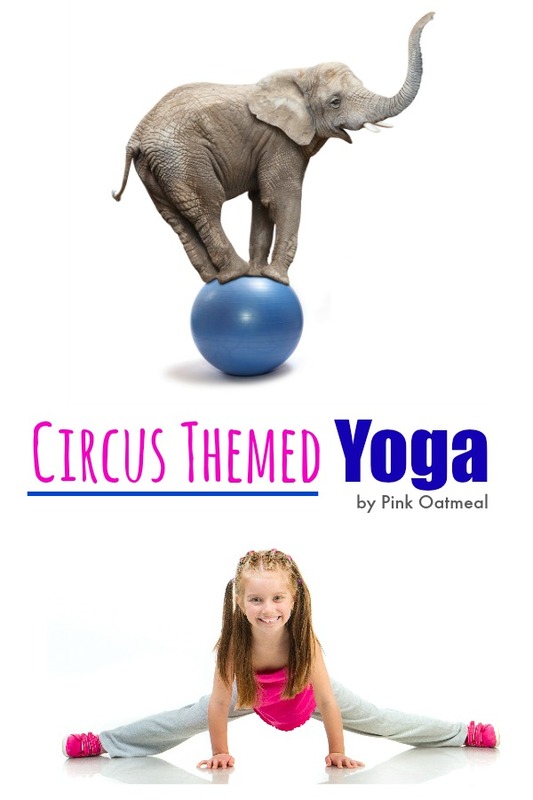 Circus yoga can be a blast for toddlers through elementary school aged children. Bear- Downward Dog Pose or Walking on your Hands and Feet work great for the bear. Move from downward dog to walking on your hands and feet. Lion – Lion’s Breath Pose and be sure to add a nice roar with the pose. Tight Rope- Tandem Standing, don’t forget to do it on both sides. Clown – Forward Bend and make clown faces between your legs. Ringmaster- Mountain Pose. Be sure to concentrate on breathing in and out. Elephant- Elephant Trunk. Bend forward at the waist and make a trunk by clasping your hands together. Move your trunk side to side. Juggling – Not your traditional yoga pose but a way to get the kids up and moving. Pass a ball around the class, encourage big movements – overhead, twists, etc. Cannon – Dancer Pose. With your free hand reach forward like you are shooting out of a cannon ball. Seal – Upward Dog. Make seal noises while in this pose. Love the idea of Circus yoga but don’t have the time to put it all together yourself? Don’t worry, Pink Oatmeal has you covered. 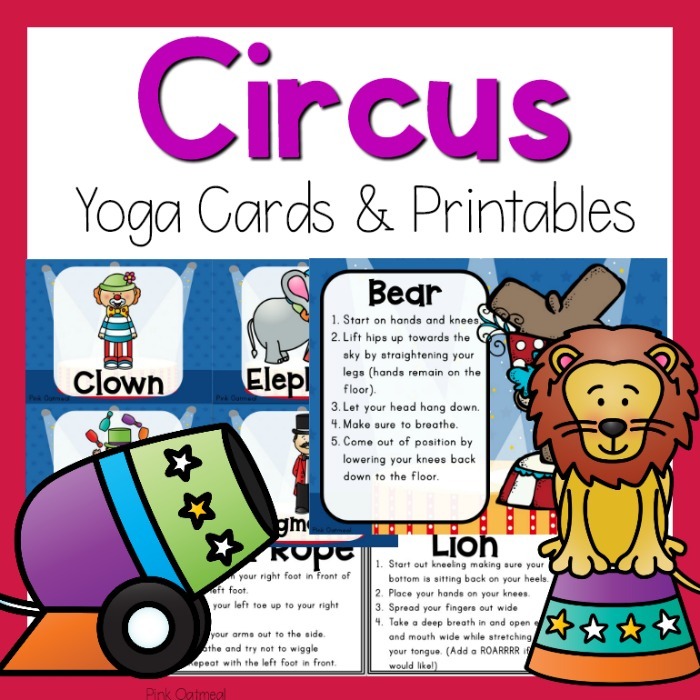 Circus yoga cards and printables give you easy access to circus yoga anytime of the day. Pink Oatmeal has 2 options. Both sets of cards have the same poses, but a different presentation. This way you can choose a set that works for your setting or get both sets! The first set of Circus Yoga Cards and Printables consist of fun Circus themed poses with fun circus related pictures that go with a description of how to get into the pose. The cards can be found at my Teacher Pay Teacher Store or in the shop. Included is a full set of cards with a full description of how to do each pose. It also includes full sheet pictures and full sheet descriptions if you prefer to use it for a bulletin board or display. 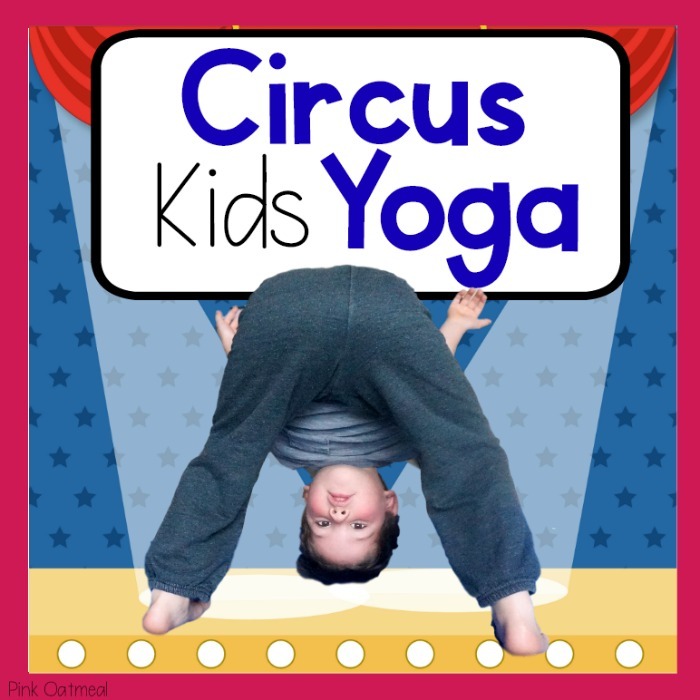 This set of Circus Yoga Cards and Printables consist of the same poses, but instead of circus pictures there are real kids in the circus themed poses. Find these cards in the shop or at TpT! Looking for more yoga ideas? Check out my Desert Yoga, Sea Yoga, Farm Yoga, Zoo Yoga, Transportation Yoga, Rainforest Yoga, Woodland Yoga, and Camping Yoga!